Richmond, Texas Juvenile Delinquency Lawyer James Sullivan fights to solve legal problems for his many clients in criminal and juvenile court. Each client has a story to tell and a legal problem to solve. Some clients are charged with serious felony offenses, others with misdemeanor offenses. No matter the level of offense, each client faces prosecution from the government and needs legal help. Call Richmond Juvenile Lawyer James Sullivan at (281) 546-6428 to discuss your child's case. 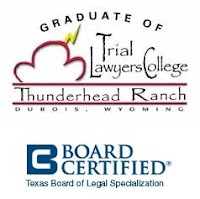 Fort Bend County Juvenile Lawyer James Sullivan is also Board Certified in Juvenile Law by the Texas Board of Legal Specialization. If you have a legal problem to be solved in the juvenile court arena, you can call Richmond Juvenile Attorney James Sullivan at (281) 546-6428.